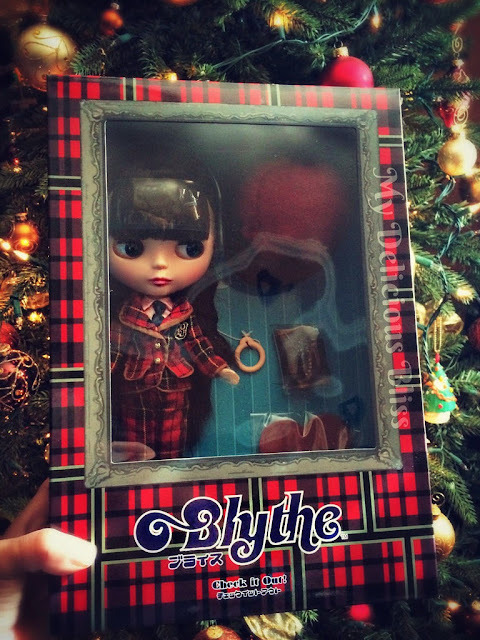 Delicious Bliss: New Year, New Blythe! I hope everyone had a blessed Christmas and Holiday Season. I took a bit of a break from photographing my collection and projects I have been working on, but with the new year I have started back. 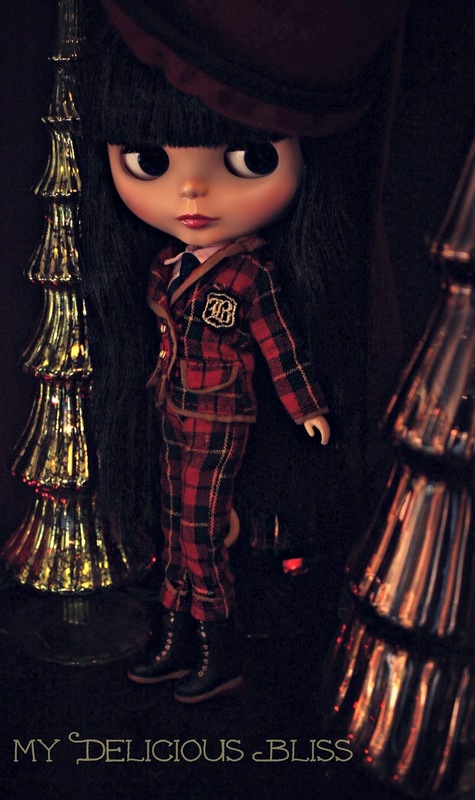 I have 3 commissions I have to get going on and a few to finish up on and I got this pretty new little one for my collection, a Neo Blythe "Check It Out". I got her from Santa this Christmas. Her box and outfit go perfectly with the season. She is a pretty girl with long jet black hair with a bang. Her stock is too cute, loving the plaid suit with the shirt and tie, black boots and a plus…….hats are always a good idea. D not know if I will leave her stock or make her a Beautiful Brown Blythe, we will see in time. On to more projects!!!! !